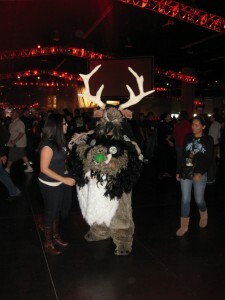 Let's face it, Moonkin were probably the best part of last year's Bliz -- I mean, anything ever! It seems awfully early to announce the date for this year’s BlizzCon, but then again, I suppose there aren’t any major game releases to dance about this time around. Oh right, Diablo III! Wait, no, maintain self-control Amatera! Last time you started speculating about what Blizzard was going to do, you only came away disappointed! Oh, I can’t stop myself! And honestly, it shouldn’t be hard to top the lean offerings of 2010’s event (even if we did get Red Shirt Guy out of it). If that oft-referenced leaked release slate is to be considered, both the back end of this year and 2012 are full of potential titles to talk about. There’s the aforementioned hack-and-slash (if it hasn’t hit retail), the first StarCraft II expansion (and maybe the second, if we’re lucky), as well as the future of World of Warcraft — what’s coming at the end of Cataclysm content if not also what’s after it. Whatever they show, don’t count on any surprise Las Vegas relocation scare this year. You can already start booking your reservations for the area around the Anaheim Convention Center, where BlizzCon is traditionally held, though ticketing and other pertinent information for the event itself has yet to be detailed. time to start saving i guess. i’d really love to make it this year myself.